Imagine you’re a deck that plays three and four mana cards, don’t know what you’re up against, and start off on one (or even two) lands that enter the battlefield tapped… You might play all one spell before the game effectively ends. Naya Burn’s cards are less powerful, less card advantageous, maybe… But it will play four to six of them in the same window (which often will be lethal right there). Remember the original Philosophy if Fire: Your average card does two damage; your opponent starts on twenty life; you start with seven cards… Ten spells wins the game. 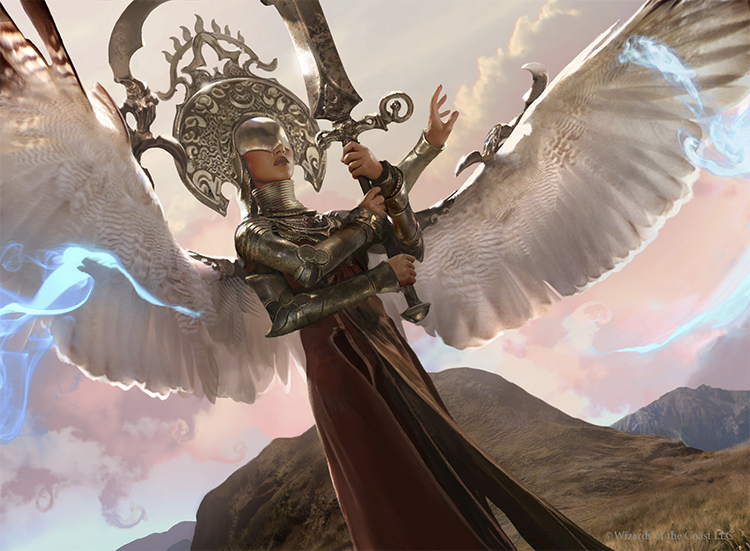 In Modern your average opponent will start on fourteen and your average card does between three and four — not two — damage. Do the math! You will be able to win on as few as four spells and your opening hand, unopposed, will be lethal most of the time! 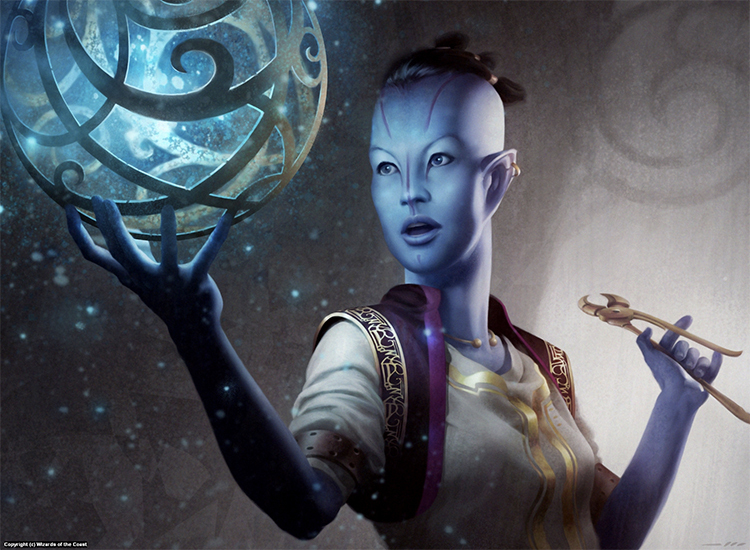 Combined with the first point — the super affordable costs on your spells [versus the gigantic or profligate costs of many other Modern options] Naya Burn is the most operationally attractive deck in the format. III. Atarka’s Command Deals Three to Them… But Three to You?!? Atarka’s Command is a cute, medium-powerful, redundant spell that can also play main-deck spoiler to Kitchen Finks or even a Hail Mary Siege Rhino. Sometimes you counter their Lightning Helix; sometimes you have two Swiftspears down and are living the dream. However most of the time Atarka’s Command is three damage for two mana (in the running for the least efficient wannabe ‘Bolt in Naya Burn)… While also being the only green card in the deck. 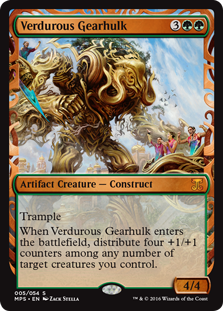 The corollary is: If you can ever get Atarka’s Command out of your deck between games, you probably should. The ability to start on sixteen (instead of fourteen, on account of being obligated to find Stomping Ground rather than basic Mounting with the same fetch) is often as valuable for you as it would be for an opponent staring down your hot hand. Don’t get me wrong, Atarka’s Command is awesome when it’s awesome; but if it’s just Incinerate that can’t hit creatures, any number of your sideboard cards will be more effective, without requiring you to ever search for green (example, siding in Searing Blood and Lightning Helix or Path to Exile and Lightning Helix for the only four green cards in the starting deck). Second corollary: This is the same reason Wild Nacatl is a suboptimal card choice in this deck; not only is it not particularly synergistic, it forces you to pay additional life a disproportionate amount of the time. Most of the creatures in Naya Burn can deal even or odd damage; Grim Lavamancer attacks for odd but shoots for even; Taylor Swiftspear starts on odd but buffs to even or odd. Eidolon of the Great Revel has both even power and even damage triggers. Playing against Eidolon of the Great Revel is extremely challenging for most decks. Yes, it can be “dealt with” but almost always at an annoying cost. If it hits one time before it is removed, Eidolon of the Great Revel is already in Boros Charm range. Make no mistake! You really should probably remove it! But a mistake I saw opponents make over and over was around fetchland management. If you’re at seventeen and you take two you’ll go to fifteen. If you are at seventeen and you go to either sixteen or fourteen you’ve essentially let the Naya Burn player draw a card. One of the main things I learned from Paulo Vitor Damo Da Rosa in an article way back when is that one-color decks tend to have weak sideboards relative to multicolor decks. 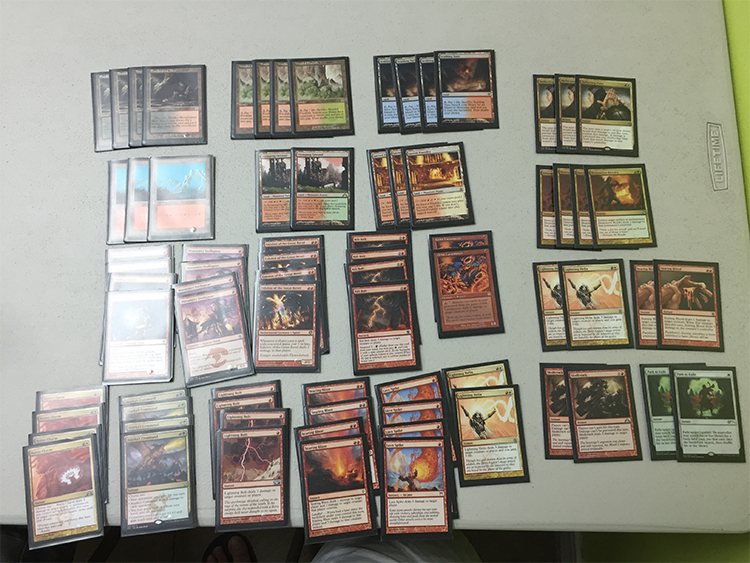 As someone who has spent years playing Patrick Sullivan Red Decks in Legacy, the contrast to Naya Burn in Modern is dramatic. This deck has specific answers to Leyline of Sanctity that can serve as card advantageous Time Walks against Phyrexian Unlife or Pentad Prism. 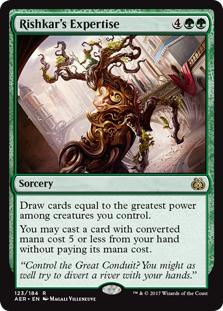 It can lethally reverse an all-in Infect player who has Vines of the Vastwood back. It can — unlike almost every other Red Deck in competitive history — even remove big creatures! You can re-work your deck in sideboard situations into a lock deck (say your Death’s Shadow opponent leaves you with Deflecting Palm with his Thoughtseize and you manage to stabilize at any point); you can go into mono-creature removal (generally with advantages across the board); or even plan for a progressive slow game around a Grim Lavamancer who will never die. Just remember that you need to have a critical mass of one mana spells. You will almost always be tempted to side out Lava Spike (the most narrow card in the deck) or Rift Bolt (the hands-down weakest card in the main deck). It will usually be correct to side out “some” of those. However the strength of this deck once you have three mana is to be able to make two plays per turn while the opponent is only making one play. However you can’t make two plays if you have three lands and all your cards cost two. You need some Rift Bolt suspends / Grim Lavamancer activations / Lava Spikes to the jaw or you are going to end up glutted, stuck, and raced. That said, Path to Exile costs one! Searing Blaze has two targets! 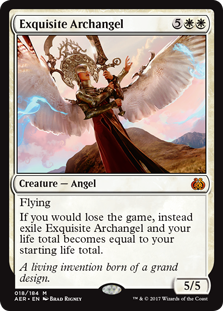 You can’t counter it by sacrificing Insolent Neonate or shooting your own guy with Path to Exile in response. It will usually be right to leave unbroken fetchland(s) on the table to trigger future landfall on the opponent’s turn rather than just trying to “thin your deck” (especially at the cost of life). Searing Blood only does two to creatures! 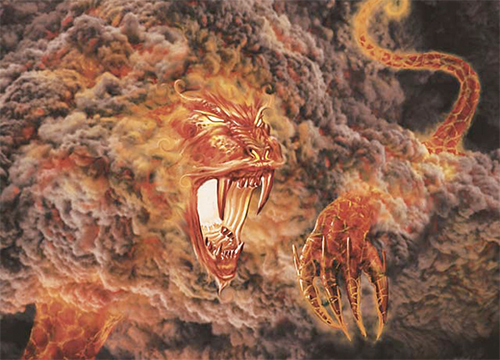 It is in some sense less narrow than Searing Blaze but is way less effective against medium sized creatures, way less effective against any kind of tricks, and doesn’t deal damage to the opponent unless the opposing creature actually dies. For this reason it is usually not the right move to go all-in on creature removal using Searing Blood against decks with Mutagenic Growth or whose first play is likely to be a Tarmogoyf. Destructive Revelry only does two! Don’t get me wrong… When this card is on, it is usually the worst possible card for your opponent to see; but it costs twice as much and does less damage than a Lava Spike. Having a card that only does two in your deck actually costs your goldfish math an entire card, on average while slowing you down a full turn. Yeah. Modern is quick, yo. Always remember the Bella Flores reading of Goblin Guide. Goblin Guide is the best because it turns Magic into chess; you know what your opponent is drawing, so you can make the best plays. Card advantage be damned! 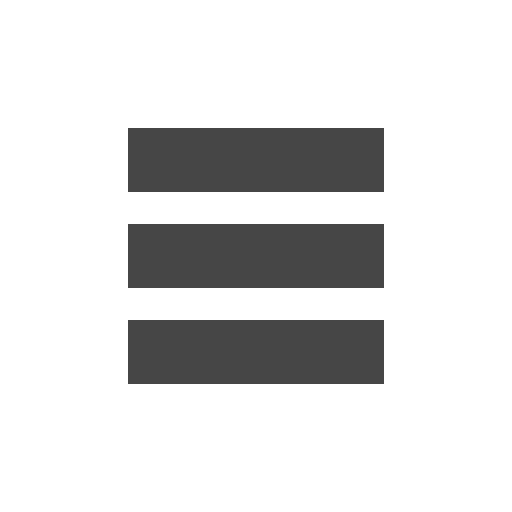 The game is often compressed enough that the card advantage doesn’t end up mattering at all. However, the information might matter a lot. In the deciding game of my PPTQ, my Goblin Guide revealed a Skullcrack on top of my opposing burn deck’s stack. That meant he was going to miss his next land drop and was going to draw a Skullcrack. So I played around the Skullcrack. At the end of my next turn, on queue, he played the Skullcrack just to get a burn spell out of his hand; I responded with Lightning Helix, essentially countering the Skullcrack, and putting him three points closer to death. Post Script: Today Miles Rodriguez is playing in his first Star City Games Invitational Top 8. He played the same 75 to a 7-1 finish in Modern, with his only loss to the great Brad Nelson. Go Miles! If you are among the many fans of “Expensive Sorcery Master” Shaheen Soorani waiting for him to unveil the latest iteration of Eldritch Moon illuminated control decks for Standard you will have to wait until after the Pro Tour — or possibly until he does he deck tech in the Tournament Center. 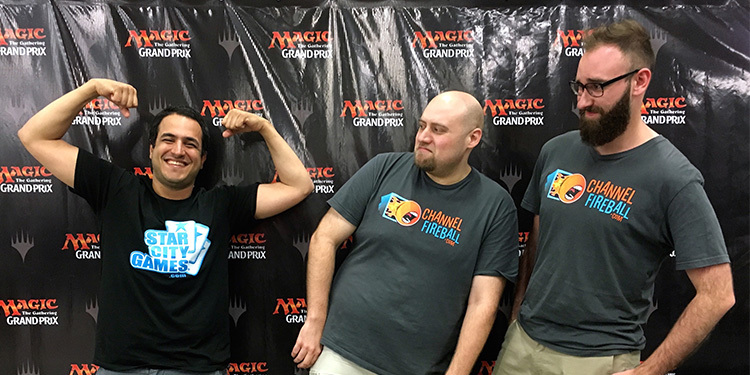 Recent success at the Grand Prix level earned him an invite to Pro Tour Eldritch Moon and in Brazil two weekends ago essentially qualified himself for the next handful of Pro Tours, when he finished in the Top 4 of the event alongside teammates Pascal Maynard and Brian Braun-Duin. Soorani is usually not the globe-trotting adventurer when it comes to Magic; certainly less-so than his two GP teammates. Pascal Maynard was in the thick of the Grand Prix Player of the Year race right up until the end of last season and has demonstrated a willingness to play Magic in any time zone or hemisphere (even if he can’t pass the foil Tarmogoyf). Brian Braun-Duin — aka BBD — is the front-runner in this year’s GP race and is priced into playing a GP in Antarctica if they announced one. Soorani’s Pro Point coffers were not as full. The trip was a huge success for all parties invloved. Maynard assured himself Platinum status for next season and Braun-Duin managed to maintain his meager lead over Tomoharu Saito for the invite to the World Championship that comes with winning the Grand Prix Player of the Year title. For Soorani locking up Silver meant he would be qualified for three PTs in a row but perhaps more importantly, Grand Prix Sao Paulo marked the first time he had the chance to play in the elimination rounds at the GP or PT level. “It was a surreal moment for me to finally play after the Swiss rounds were up. 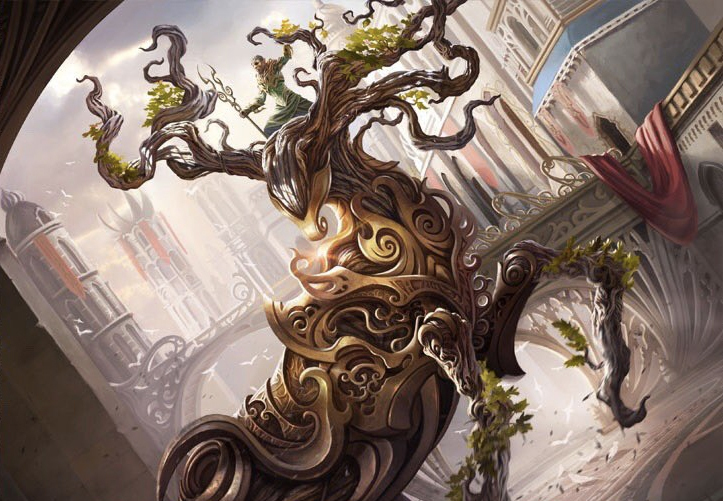 The experience was shadowed by a devastating Humble the Brute — a one-outer — off the top of our opponent’s library in the final possible turn to dash our GP victory dreams, but when the dust settled I had finally made it to a GP to 8. I Top 8’d five SCG Invitationals in a row, which are arguably more competitive than an average GP, but not having one Grand Prix top 8 was starting to make me doubt my competitive abilities. To summarize my experience in one word; relief,” said Soorani who was coming off missing the Top 8 in GP NY on tiebreakers. All those Invitational Top 8s, near-misses at Grand Prix, and other success are much more impressive when you consider Soorani’s gainful employment. He is a teacher and his time is accounted for every Monday through Friday. The summer is a sweet spot for him when it comes to playing in events. “That was the only reason I was able to travel as far as I did for GP Sao Paulo. My girlfriend is definitely not a fan of the amount of time I’m away, but she knows that I love this game and it’s become so much more than a hobby,” said the lover of control decks who was dubbed The Expensive Sorcery Master by Pro Tour Hall of Famer Gabriel Nassif during Pro Tour: Amsterdam. I was actually doing a deck tech with him and the French player crowned him that after another Hall of Famer, none other than Kai Budde, snorted derisively at a Thought Hemorrhage. That reasoning sounds somewhat emotional but when you strip all the pride and self-identification away, there is actually a very specific and concrete reason that Soorani has elected to play with his expensive sorceries (and instants). 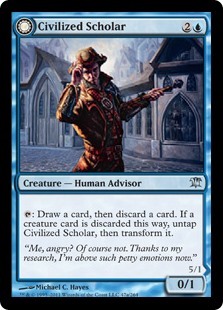 If you could pick any single player who embodies the opposite of everything Soorani believes in regard to Constructed Magic it would be his playtesting teammate for the upcoming Pro Tour, Craig Wescoe. He is always excited to share his unique view of attacking Standard but is doing his best to keep his tongue bitten between now and Round Four of the Pro Tour. Gold status for next year is within Soorani’s reach although he may need to stand on his tip-toes to grab it. He will need a 12-3 finish at GP Sydney and then at least a 12-4 at the Pro Tour the following weekend. That’s what it says in the fine print on the Gamers Helping Gamers webpage. Also on that page are the names of more than a half dozen veteran Magic players — Hall of Famers, Grand Prix, Pro Tour and World Champions with a smattering of Player of the Year — who formed the non-profit organization to award need-based scholarships to a new generation of Magic players. Timothy McKenna (President), Eric Berger (Secretary), Jon Finkel (Treasurer), Chris Pikula, Robert Maher, Jr., Matthew Wang, and Daniel O’Mahoney-Schwartz make up the board that reviews the submissions each year and decides upon the recipients. For the past several years I have had the pleasure to introduce the recipients and this year is no exception. This year’s recipients include two four-year scholarships of $5,000 annually and one one-year scholarship for $5,000. They have been waiting all week to share the good news with others so without further ado let me introduce you to this year’s crop of gamers. 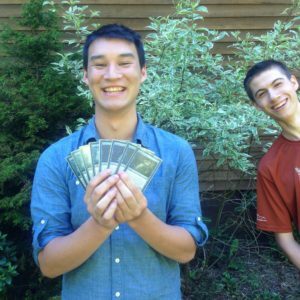 Faolan is an avid consumer of Magic content and actually discovered the existence of the scholarship by watching Jon Finkel’s stream one night and last year, his best friend Dylan Quinn (photobombing above) also won a scholarship award from Gamers Helping Gamers. The Massachusetts-based player, who will be heading to Santa Clara after this summer, describes himself as a competitive player who does not get to play nearly enough. 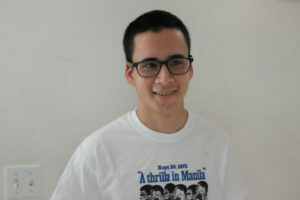 Jacob is already attending the University of Wisconsin — Whitewater and has been applying for the scholarship for the past four years since reading about the first class or recipients. Interestingly that was not too long after picking up Magic roughly a half decade ago when his local homeschooling organization handed out Mirrodin Besieged Intro Packs to all the kids. He was instantly hooked — and hooked beyond just the game play. The story was just as important and engaging to him which worked out well for him while filling out the application for the past handful of years. 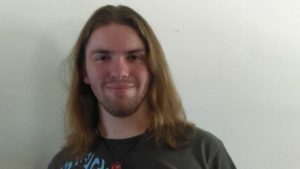 “It’s certainly the most enjoyable application process I’ve ever encountered; writing about Magic is something I love to do, and it really makes you think a lot more about the game itself. And it never ceases to amuse me that there is a place for your DCI number right next to your SAT score,” laughed Jacob. His essay for the application included a discussion about how Magic spurred him to study game design and journalism. Jacob also wrote about Narset, Transcendent in his essay. Early on in his education Jacob was labeled as “intellectually gifted” and struggled to fit in with his peers as some things came easily to him while others were more elusive. Community is a recurring theme for Jacob and this scholarship was very meaningful for him in multiple ways. “Not only have I been working towards it for a few years, but I have been trying to be more involved in the Magic community for many years. Currently, those efforts include a semi-collaborative parody Twitter project with A.E. Marling and a portrait of the Magic community through signed Unyielding Krumars. I’ve always wanted to make or write or do things that other Magic fans would enjoy, and to me this scholarship means that I can do that. I can get there. Not shockingly the world of Innistrad is one of Jacob’s very favorites and he plans to celebrate his scholarship beneath the Eldritch Moon. 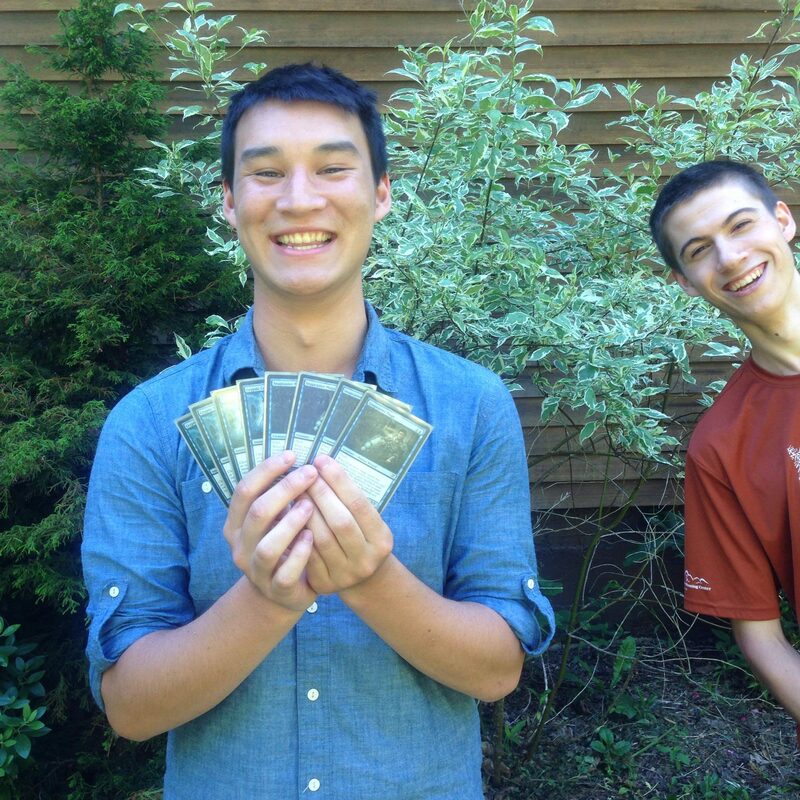 If you follow competitive Magic you have probably heard Oliver’s name mentioned often, and with increasing frequency, over the course of this season. He currently leads the Rookie of the Year race, has crossed the threshold to become Platinum through the remainder of this year and next, and could very well be competing at the World Championship if he can maintain his pace in the Constructed Master category at the last Pro Tour this season. Oliver has been playing the game since the 5th Grade when he saw some fellow campers playing the game. He was drawn into Magic by the artwork rather than the gameplay itself which is somewhat unexpected for someone who describes himself as “extremely competitive”. I had the opportunity to interview Oliver after the second Pro Tour of the season when he finished in the Top 16 in Spain. It was obvious that the young New England player had attracted the attention of the best and the brightest from the Northeast as both William Jensen and Mike Sigrist went out of their way to make sure I knew that Oliver was the real deal. During that interview he stated that Owen Turtenwald was the player he attempted to template himself after. One of the amazing things about the success Oliver has had on the Pro Tour has been his ability to succeed without working with one of the major playtesting teams (which changes for the upcoming Pro Tour when he joins Team Face to Face Games) and that was one of the topics he wrote about his Magic essays. Oliver has a lot on his plate for the coming year between his freshman year of college and following up on a Platinum Pro Tour season.